Shares in Petra Diamonds (LON:PDL) dropped almost 6% Tuesday after the company reported fresh labour disruptions at two of its mines in South Africa, amid talks to reach a new wage agreement. Workers at Petra’s Finsch mine and the Kimberley Ekapa joint venture have gone on a strike, Petra said in the statement. Underground and surface mining have been affected at both sites but its treatment plant is running “near normal” capacity, it added. The news come just a day after the company logged disappointing results for its financial year and updated the market on an ongoing legal wrangle in Tanzania. The stock fell roughly 6% to close at 74.50p adding to the nearly 6% it had already lost on Monday after Petra warned it might be in danger of breaching its banking covenants if it cannot resume exports from Tanzania. Petra has borrowed heavily to expand its historic diamond mines in South Africa, previously owned by top producer De Beers. 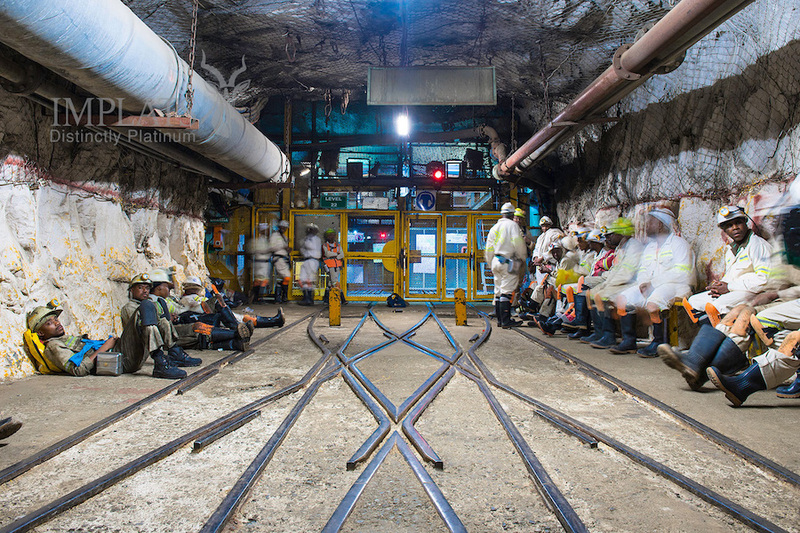 The strikes at the South African operations come as the diamond miner, known for some major recent findings, is negotiating a new three-year wage agreement with the National Union of Mineworkers (NUM). It has already reached an agreement at its Cullinan mine. South Africa’s Impala Platinum (JSE:IMP), the world’s second largest miner of the precious metal, revealed Monday it had begun talks with authorities and unions that could see at least 2,500 workers laid-off at its Rustenburg operations west of Johannesburg. The miner, also known as Implats, said it might need to cut even more jobs at Rustenburg, which has a labour force of 31,000 and which despite being the biggest contributor to the company’s total output, has also been a major factor to its full-year loss. Reporting 2017 results last week, Implats warned it was considering restructuring operations that would involve lay-offs and the possible closure of its Marula mine because of production disruptions due to violent community protests nearby. Labour productivity rates have declined over the last few years and production levels at Rustenburg have been reduced from a historical base of some 1 million platinum ounces per annum, to the 680,000 to 720,000 ounces forecast for the 2018 financial year, the company said in the statement. “It must be emphasized that no final decision has been taken as regards the proposed restructuring, and no final decision will be taken prior to full and proper consultation with affected employees, and their representatives,” Implats’ chief executive officer Nico Muller said. Implats’ move follows similar measures taken by other South African miners, including AngloGold Ashanti (JSE:ANG) (NYSE:AU) and Sibanye Stillwater (JSE:SGL) (NYSE:SBGL), which have recently announced plans to shut down their loss-making decades-old operations in the country.